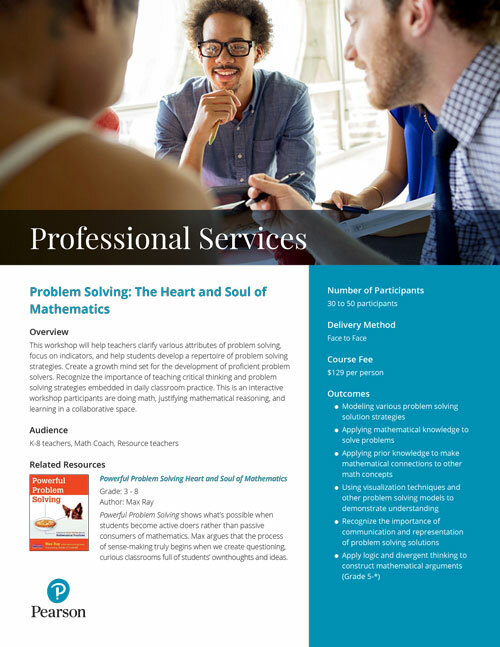 This workshop will help teachers clarify various attributes of problem solving, focus on indicators, and help students develop a repertoire of problem solving strategies. 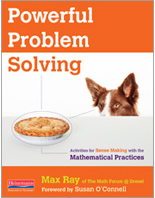 Create a growth mind set for the development of proficient problem solvers. Recognize the importance of teaching critical thinking and problem solving strategies embedded in daily classroom practice. This is an interactive workshop participants are doing math, justifying mathematical reasoning, and learning in a collaborative space. Powerful Problem Solving shows what’s possible when students become active doers rather than passive consumers of mathematics. Max argues that the process of sense-making truly begins when we create questioning, curious classrooms full of students’ own thoughts and ideas.